Vega School of Brand Leadership (Vega) is once again celebrating the success of their students, three of whom recently won the prestigious inaugural Future Award sponsored by Thackwell & Whittaker at the 2013 Promax|Broadcast Design Association Awards. “We are extremely proud of Bella Evans, Matthew Oldfield and Nikki Albertyn who have been recognised by this international body and we have no doubt that this is a sign of great things to come in their professional careers,” says Carla Enslin, Co Founder of Vega School of Brand Leadership. The award winning team saw Evans filling the roles of writer and creative director, Oldfield as the art director and co-creative director, and Albertyn as the cinematographer and editor for the project. Together the team created a public service announcement (PSA) for a non government organisation, the Beyond Expectation Environmental Project. The Western Cape initiative is focused on educating youth from previously disadvantaged backgrounds on key environmental issues, while simultaneously providing the mentorship needed to help them tackle the many social problems faced in their local communities. The goal of our PSA was to showcase what the Beyond xpectation Environmental Project does in a dynamic, emotive and surprising way that will remain in the minds of people long after they have viewed the two minute piece. Clearly the judges were also able to pick up on our vision and they awarded us the Future Award which recognises outstanding creative work by students in a tertiary institution in Africa,” explains Albertyn. Promax|BDA leads a global community of those passionately engaged in the marketing of television and video content on all platforms, inspiring creativity, driving innovation and honouring excellence. The association represents more than 10,000 companies and individuals, and is considered to be the leading global resource for education, community, creative inspiration and career development in the media and media marketing sectors. The Promax|BDA Africa Awards recognises excellence in on-air promotion, branding and advertising. 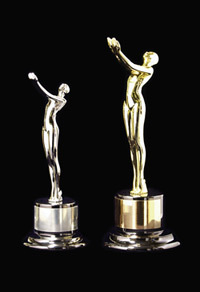 This is the eighth year that the awards have been held. Vega, a brand of the Independent Institute of Education (The IIE), aims to graduate a new breed of brand thinker, one that is skilled in generating innovative and sustainable brand ideas which look to solve 21st century problems. With campuses around the country, the institute offers both full and part time courses which focus on educating students to create, build and manage healthy sustainable brands. To see the team’s award winning entry, visit Vega Students Video and for further information on Vega, see http://www.vegaschool.com.